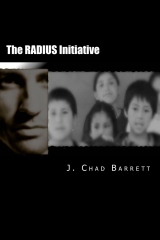 The RADIUS Initiative Applied, Part 3: What Do We Do with the Gospel? John 20:30-31 makes the purpose of his book clear: that the world would believe in Jesus for everlasting life. John proves in his gospel that Jesus is the Son of God by recalling the miracles Jesus performed. He emphasized the death, burial, and resurrection of Jesus. And he states what one must do with this gospel in order to be saved: believe. In fact, John uses that one word—believe—98 times throughout his book to portray what one must do to be saved. It is the same word translated from the original language of the New Testament (Greek) as is the word faith. Believe and faith are synonymous in the New Testament. In order for a person to be saved from sin and have everlasting life, he must believe in Jesus. Jesus paid for the entire penalty of sin for each person by dying on the cross and rising from the dead. Each person must believe in Jesus, alone, to be saved from his sin. The gospel is a statement of fact: Christ died for our sins and rose from the dead. Each person must believe in Jesus Christ, alone, to be saved from sin. The word alone is important. We are not told by John’s Gospel to believe in Jesus and our good works, or Jesus and our baptism, or Jesus and our commitments in order to be saved. We are told to believe in Jesus. That’s it. I love to persuade people that they can believe in Jesus alone for their salvation from sin. I was sitting across from Damon at my favorite Chinese restaurant (I love Chinese food!). When asked what he was believing in to get to heaven, Damon replied that he believed in God and was trying to be a good person. I asked him if he believed Jesus died on the cross and rose from the dead, and he said he did. Then I asked, “If we were to believe in our good works alone, what would that say about the death of Christ?” He thought for a minute and replied, “It seems we would be saying that His death was useless.” I agreed. I agreed. So I finished with this question, “What if we were told to believe in Christ, alone?” Damon sat back in his chair, and his face grew a bit somber. He said, “Chad, I get it, now. All this time, I have been believing in Christ plus my good works to get me to heaven. I have been telling God that His Son’s death was not good enough to save me—that I needed to help out.” Damon became a Christian that day. Either Christ paid it all, or He didn’t pay at all. But before He hung His head and breathed His last, He said, “It is finished.” Another way to translate that sentence is PAID IN FULL. In order for one to be saved from sin, he must believe in Christ, alone. Tomorrow’s Post: How Do I Best Share the Gospel? I value your thoughts and comments! Slap me some feedback!